Here is a moving office planning guide to help you through understanding the risks in relocating your office. This is after implicating the risks in too many blog posts. This time, we’ll take the initiative of getting you oriented on the risks. Because these can be important make or break factors in your decisions as you move forward. Part of the efforts to make business relocation work is considering the employees that will go with you. As well as the ones who aren’t. But aside from either of those, it is also a risk. And is one of the most important things you need to consider in this moving office planning guide. Because these employees have stood as pillars to your company. And betting on new hires may be a long shot. Especially when you aim for more growth on the next site. Data and information technology is the critical part of your enterprise. But your equipment can be in a great risk. Not to mention the data that they hold. Anything can happen. Which is why many business owners cover this risk through storage options. If you want to do so, you can use a self storage unit guide to get you started. Electronic equipment is fragile. And are vulnerable during the transition. Hence part of the risks is losing or damaging them. Although taking advantage of the solutions from expert business relocation services can cover it for you. But if you plan to move on your own. Then it’s a heap of a challenge. Managing inventory is critical to ensure an effective transition. You can use office removalist Sydney hacks to help you further. Because this risk as quoted by moving office planning guide can do heaps of damage to your business. The moving office planning guide also acknowledges the risk for operation and expenses. As the ball starts rolling, you may find unexpected expenses and costs. So, it’ll be worthwhile to anticipate them early on. Apparently, decrease in productivity is a great risk. And thus, why it is listed in our moving office planning guide. Especially for the fact that, its damage is regardless whether or not you will shut down during the move. The interim will bring heaps of compromises. And one of them is highly likely the quality of your product and services. Because everyone else’s going to be really busy. And as aforementioned you may lose some of your valuable staff because of the move. There are plenty of reasons why your key support functions may be affected by your removal. It can be due to a failure in updating your profile especially the address, or it could be the distance of your move. Now, your business partners may have been real assets for your company. And you are at a risk of losing their support. So, it would be best for you to consider that too. Your bond with your customers is what brought your trade to where it is. But you also have a good reason for relocating your centre. So, be sure to balance your pros and cons very well. Especially that losing customers is really a big risk to take. Once you’ve fully understood each of the risks, you will be able to realise the counter plans that you can do to minimise them. And that’s the purpose of this moving office planning guide. Don’t hesitate to search for your answers right here with Business Relocations Services. Helping you move your enterprise with ease and providing you with cost-effective solutions is our main aim. You can explore more about our services or check out our blogs. As well as reach out to us directly. 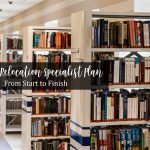 Also, if you need a moving library plan from start to finish, then you might want to check out the previous article Library Relocation Specialist Plan from Start to Finish. You will learn the best practices of library relocation specialists and get to impose them.